Renault boss Cyril Abiteboul has put the relationship with Red Bull Racing on Thursday even more sharp. The Frenchman claims that Max Verstappen's team does not speak the truth about the new engine supplier Honda. Red Bull took the leave of manufacturer Renault after the last season after twelve years and hopes to join Honda for the world title from 2019 onwards. Among others, team boss Christian Horner and top consultant Helmut Marko have managed to expect Red Bull to make good progress in the past few months, which did not go well with Renault. Abiteboul was already negative about it and is now back again. "Honda is still 27 horsepower behind us, I know what Red Bull says, but they hide the facts and manipulate the data", the Frenchman claims against Motorsport-Magazin.com . "I understand that communication strategy, but it is not based on facts, they were 27 bhp behind us and as it stands now, they will not have made up for that." Red Bull had about 70 hp less than world champion Mercedes last season. 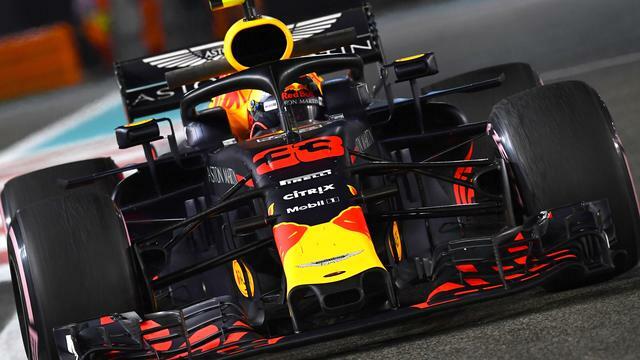 According to team boss Horner his drivers Verstappen and Daniel Ricciardo at 55 hp on the basis of the good chassis could participate in the title fight. Abiteboul has been racing to Red Bull this year, which has had problems with the Renault engine over the past few years and has expressed its disappointment on several occasions. At the beginning of this month, the Frenchman was not able to point out in an interview that Toro Rosso - which already drove a Honda engine last season - could not match the performance of the Renault team in 2018. Red Bull finished in 2018 with 419 points in third place in the World Cup stand for manufacturers, far behind Mercedes (655 points) and Ferrari (571 points). Verstappen finished individually as fourth, against a sixth place for Ricciardo. The new season officially starts at the end of February with the test weeks in Barcelona. In the run-up to these tests, the teams reveal their car. The first Grand Prix is ​​on March 17 in Australia.